Researchers have found pesticide residues in the vast majority of agricultural soils tested in 11 European countries. 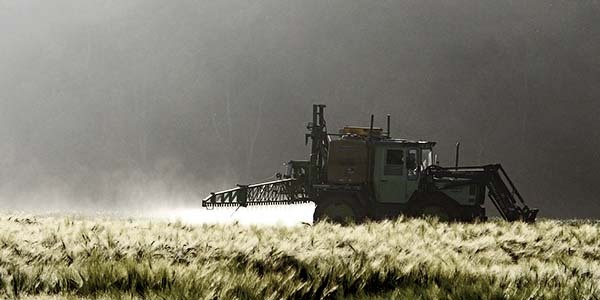 Residues were found in 83 percent of the soils in 166 different pesticide combinations. For years now, European regulators have been blatantly ignoring the toxic effects of pesticide cocktails in foods. As research from Denmark showed in 2015, even small doses of pesticides can amplify each other’s negative effects when present in combinations. Fortunately, other research suggests that our body burden of pesticides can easily be lowered. A study from the United States published in 2015 showed that switching from conventionally grown fruits and vegetables to produce grown organically, even just for a few days, significantly reduces the levels of pesticides in children’s bodies. Examining 40 children between 3 and 6 years of age, researchers from the Center for Environmental Research and Children’s Health at UC Berkeley found that an organic diet quickly lowered their levels of several pesticides by between one-quarter and one-half. To read more about the health benefits of organic food, see this article on our website.